Wisdom teeth are the four or more furthest back molars that generally appear between the ages of 16 and 23. These molars can cause many problems that will usually require oral surgery and extraction to correct. Your American Dental Solutions dentist will monitor these teeth at your regular appointments to prevent any longterm issues. One of the most common reasons to extract wisdom teeth is because of impaction. Impaction occurs when there is not enough room in the jaw for the teeth to emerge. If there is not enough room for teeth to emerge, the molar may end up only breaking through the gum partially. This can then create space for bacteria to slip into the gum and cause an infection called Perioconitis. Wisdom Teeth removal is a minor oral surgery procedure in which a local anesthetic is applied to the area being operated on. People will often choose sedation for this procedure to ensure total comfort and an anxiety free experience. Your doctor will open your gum tissue, remove any bone covering the teeth, and remove the wisdom teeth. Stitches may be needed to close up the open gum line. The recovery process is fairly quick with the aid of pain medication, antibiotics, and the proper recommended care provided by your doctor. Is it Time to Visit the Oral Surgeon? Are you feeling increase pain around your wisdom teeth? If you are, then it might be time to have them removed. Schedule an appointment at American Dental Solutions to have a doctor determine if its the right time for you to have them removed. 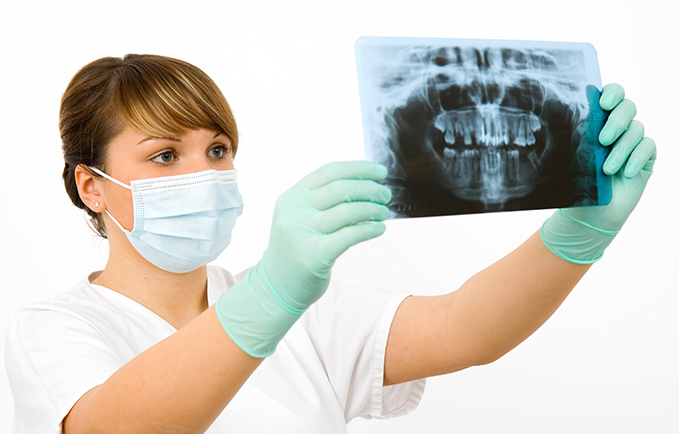 X-rays will need to be taken, and your treatment plan and payment options will be explained to you in detail. Our compassionate staff is here to answer all of your questions so don’t hesitate to call 1-844-9MSILES. Visit our Oral Surgeon at our East Norriton, Hamburg, Kenhorst, Lancaster, and Pottstown locations. Call 1-844-9smiles for a consultation with one of our oral surgeons!